Sandi at Sappy As A Tree has kindly nominated me for the Leibster award. This is another award focused on encouraging newer bloggers and boosting their readership, or as my friend Margot Meanie calls it, a bloggers’ chain letter. As time-consuming as it is to participate in these things, it is lovely to be recognised, and hey! I’m retired. I’m supposed to have time for these things. 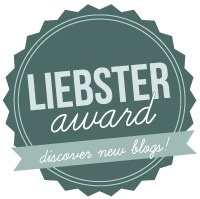 Evidently “Liebster” means “dearest” in German, and the award is given by one blogger to a number of others who have fewer than 200 readers. The word Liebster fits, as it is an expression of admiration and, dare I say, affection. I have never seen this precise word before, but then I don’t speak German, so what do I know? I am aware of the term “Liebling” as a term of endearment for a child. It stands to reason then, that we baby bloggers should be graced with this honour. Answer 11 random questions posted by the presenter and ask your nominees 11 questions. Go to your nominees’ blogs and tell them about your nomination, with a link to your post. Just so you know I am following the rules, I thanked Sandi the morning that I discovered the nomination. Any time in the past 63 years, if you had asked me my height I’d have had to hesitate, guess and estimate. At my physical last week I paid close attention and committed it to memory. I am 5’4″, but cannot be certain that I was this height 30 years ago. I was a tomboy as a child, diving into physical activity with abandon, sustaining sprains and fractures, bruises and abrasions. I have become far too cautious for my own good in my adult years. I recently had nine active games of Words With Friends going with the same person. She’s my sister. We get a little carried away. Speaking of getting carried away, I once stayed up nearly all night meticulously decorating a Superman birthday cake for my six-year-old. Four months prior to that birthday, after enduring several endless days of “What I want for my birthday,” I told my firstborn that if I heard another word on the subject before seven days prior to the event, we would cancel the birthday and he would stay five for another year. Not only did I have peace for four months, the child learned how to read a calendar. I would say he earned that awesome cake. I can’t tell you what my favourite food is, or my favourite colour, animal, pastime or vacation spot. I appreciate the best qualities of most everything and simply cannot choose. Pot luck dinners will be the death of me. I also love Claire Beauchamp Randall Fraser. Outlander fans know what I mean. I was a very thin child. I am definitely not a thin woman. Though I liked to play sports and climb trees, I was a very socially introverted child. I hope you have fun with this, fellow bloggers, but please do not feel pressured to complete it in a hurry, or ever. If it helps to change it to suit you, go ahead! This exercise is meant to recognise and encourage, not burden. Q: If you walked into a Starbucks, what would you order? A: To be completely honest, I would probably not go to Starbucks, for a number of reasons, not the least of which is economics. Geography figures here as well, as I am rarely in the vicinity of the coffee franchise, but the main reason is that I prefer my coffee plain, dark and bitter, served in a ceramic mug that I can refill at will and drink while in my pyjamas. If I did indeed find myself in a Starbucks with no choice but to order something (say I needed to use their washroom) I would likely have a cappuccino. I do like a milky coffee treat once in a very long while. Then I would make use of their facilities again. Q: Read a good book lately? Please divulge its title and author. A: I have read a great many books lately, but the best one was (is) Written In My Own Heart’s Blood, the eighth in the nine-part Outlander series by Diana Gabaldon. It was released in June of this year, and Ms. Gabaldon has mercifully begun Book Nine already. Only three to five years to wait now. Q: How do you feel about rainy days (or Mondays) A: Given my retired status, Mondays don’t signify, but rain? Rainy days give me a perfect excuse to stay inside and read, sew, quilt, do other crafts, bake or blog. I don’t clean house on rainy days. Dog. Q: Camping: do you like or loathe it? A: I laughed out loud when I read this one. I live in a 33 foot fifth-wheel trailer, though I don’t consider what I do to be camping. This is my home. We get too cold and tired to sit around campfires and currently do not even own an outdoor grill. We camped when we and our children were much younger and loved it, but have had enough. I am a happy camper who does not go camping. Q: Name one of your favourite desserts. A: Short answer – see number 6 above. Less short answer – rhubarb pie. Or pumpkin pie. Rice pudding. Oh, I forgot to say really good vanilla ice cream, either on the pie or under a shot of whiskey or butterscotch sauce. Or, or oh, and maybe….Well, you get it. Mmmmm, dessert! Q: When you travel from one place to another – via public transportation or personal vehicle – do you listen to news, music, audiobooks, or your own thoughts? A: Easy! Audiobooks, hands down. Though if I feel myself getting sleepy, I switch to music, so as not to miss any of the story. There was a period of time when I had a one-hour commute for my night shift job. No bus available for the time and place, so I drove. That’s when the effort to stay awake to hear my stories has probably saved a few lives. Q: What is your favourite holiday? A: Right now it ‘s Thanksgiving, due in part to it being now over here in Canada. Seriously, I do love the fall, and all the lovely fresh produce available this time of year, as well as the bittersweet family gathering, and the pumpkin pie. Love to see them, hate to leave them, but am waiting impatiently for the time to be right to make like a goose and head South for the winter. Q: Which section of a newspaper do you turn to first – news? editorials? comics? entertainment? crossword? sports? living? classifieds? realty? business? A: Hah! another trick question! When I had newspaper delivery in my home city, my first look was at the obituaries. I was a nurse! My parents and all their friends were old! I wanted to stay on top of my game. Now I get all my news on line or on TV, so do not check the obits as regularly as I once did. When I pick up a hometown paper I go right to the announcements pages, and if it’s a local paper on my travels, I (blush) still read them. Q: For a date night, would you prefer a concert or a movie? A: Two part answer. 1) Movie, because it is much more likely to happen. 2) Concert, because being a rare occurrence, it is a treat. 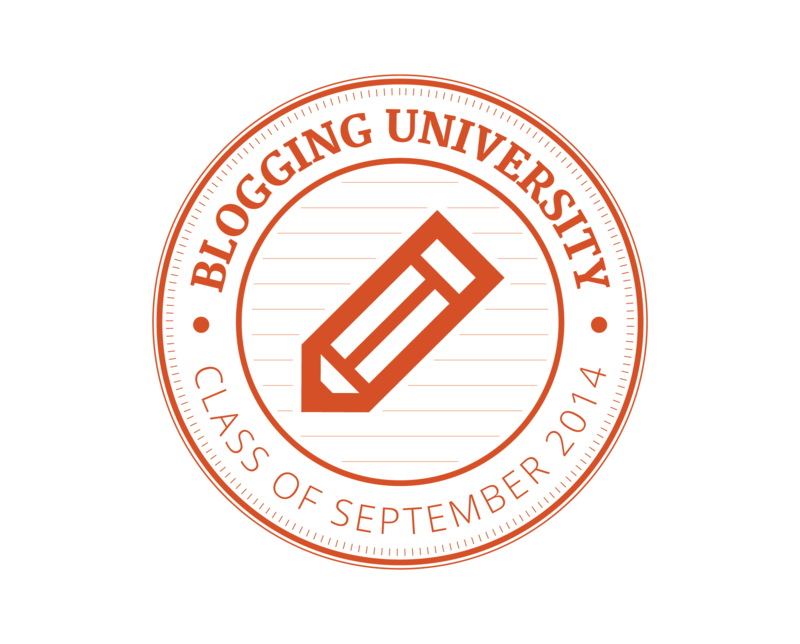 How long have you been authoring a blog? A: This time, exactly one month. I started another blog last July that petered out around January. This time I got involved with the blogging community via Blogging 101 and have learned more in a month than I could hope to learn on my own in a year. Which do you find more tiresome – shoveling snow or dealing with mosquitoes and other warm weather pests? Bottled water or tap water, and why? Assuming you are omnivorous, could you live a year as a vegan? What is your favourite vegetarian meal? Baseball, football, basketball, hockey or Dancing with the Stars? Do you have a hobby or pastime (besides blogging)? What is it? If you could make a living blogging, would you leave your current employment? If you could afford any lifestyle you choose, what would it be? Television: which do you prefer – sitcoms or crime dramas? Other? What is one healthy habit you wish you could develop? I had so much fun reading your random facts and responses! I also love Harry Potter, but I know nothing about Outlanders: something new to explore! Thanks for participating! Thanks for that response, Sandi! Use the link for Diana Gabaldon in my answer to question #2 to look at her website and check out her books and projects. I had a lot of fun doing this post. Thanks again for the opportunity. When you talk about your trailer it reminds me of the Lucille Ball movie “The Long, long trailer.” Have you ever seen it? Oh yes, Deborah. We still love that movie! I continue to be surprised at some of the issues they dealt with in such a comic fashion that still come up for us and our friends with much more modern units. Thanks for nominating me Betzcee. This was fun to read. I’m a big Harry Potter fan as well. I usually see Gabaldon’s Outlander books in bookshops and wonder what they’re about. The covers I saw didn’t give much away. By the way, #4 (of the random facts) is really sweet. Moms tend to do cool things like that. Thanks, Zezee! I took a look at you post on fiction vs nonfiction, and I think you might enjoy the Outlander series. It’s author characterises it as a story about a marriage, though libraries and bookstores don’t quite know how to categorise it. Not a romance, not science fiction, not quite fantasy, but with all these elements, to some degree wrapped up in a period fiction. In the UK the first book is titled Cross Stitch. Do give it a try when you have the opportunity. I’ll add it to my TBR list then. Thanks for the recommendation. I like that it’s not easy to define. See my answer to question number two in the above post for a link to Ms Gabaldon’s website if you would like to know more.